Southern Police Institute's Alumni of the Year. Edward S. Pocock III is an experienced public servant, who has a track record of integrity, excellence, and success in municipal government. 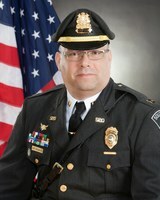 Professionally, Ed's journey in law enforcement began with his early enlistment in the USAF, to joining the Southington Police Department in 1989 and after 25 years of honorable service, he retired at the rank of captain, where he commanded Operations (Patrol Division and Detective Division—73 members). Ed's volunteer community efforts range a 24-year span from service on the local Board of Education to his current service on the local Town Council (pop. 42,000). Philanthropic efforts are also an integral part of Ed's life. Joined by his wife Jacy, they lead the J. Allen Lamb & Edward S. Pocock III Foundation, supporting modern police command practice, support of law enforcement aspirants and police marksmanship training. 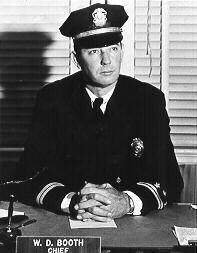 Chief Booth, who spent the majority of his career with the Clearwater Police Department, was appointed as the agency’s Chief of Police in 1957 - the youngest Chief in the history of the department at age 33. His tenure as Chief in Clearwater was marked by service beyond his own agency and for both the City of Clearwater, the Clearwater Citizens Council on Crime, the Chamber of Commerce, and the Rotary Club of Clearwater. He has served on the Governor’s Advisory Council on Law Enforcement Standards, and the Police Standards Council, the predecessor of the current Florida Criminal Justice Standards and Training Commission. Chief Booth also served as Director of Public Liaison for the Florida Department of Law Enforcement (FDLE). 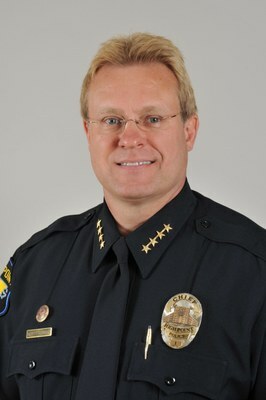 In 2015, Chief Booth was inducted into the Florida Police Chiefs Association’s Wall of Honor (Hall of Fame) for his contributions to the law enforcement profession. He is a graduate of the 9th session (1953) of the Administrative Officers Course at the Southern Police Institute, University of Louisville in Louisville, Kentucky. He has also served as President of the Florida Police Chiefs Association (1964), President of Tampa Bay Area Chiefs of Police Association, and Chairman of the FPCA’s Training and Education Commission. 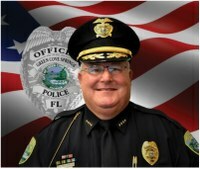 Chief Musco has over 35 years of progressive law enforcement service, and was hired to serve as Chief of the Green Cove Springs Police Department in December 2005, after retiring from the City of Delray Beach Police Department in Palm Beach County, Florida after 26 years of service where he rose through the ranks from Road Patrol Officer to District Commander. Chief Musco possesses a Master of Science Degree with honors in Human Resource Development, a Bachelor of Science Degree in Organizational Management, and an Associate of Arts Degree from Palm Beach Community College, in Criminal Justice. He is a graduate of the 113th session of the Administrative Officers Course at the Southern Police Institute, University of Louisville in Louisville, Kentucky, a graduate of the Senior Management Institute of Policing at the John F. Kennedy School of Government, Harvard University, Cambridge, Massachusetts and a graduate of the 10th session of the Command Officers Development Course at the Southern Police Institute, University of Louisville in Louisville, Kentucky. Additionally, Chief Musco possesses over 3,500 hours of leadership education and training and is the recipient of numerous awards and commendations, while being a member of several professional and civic organizations. Rodney Brewer, a native of Louisville, was named Kentucky State Police Commissioner in December 2007. A thirty-three year veteran of the agency, he has served in numerous assignments including uniformed operations, special investigations, narcotics, strategic planning, academy commander, and the executive protection detail assigned to protect the Governor and Lieutenant Governor. He has held every merit and non-merit rank within the organization. Commissioner Brewer has instructed at the Department of Criminal Justice Training, National Crime Prevention Institute, the Southern Police Institute, and the Kentucky State Police Academy. He has also lectured in Europe on leadership and ethics to police agencies in Romania, Slovakia and Turkey. He has traveled extensively in Mexico regarding language programs and intelligence sharing initiatives. He is a graduate of the Federal Bureau of Investigation (FBI) National Executive Institute and recently completed the Leadership in Counter-terrorism (LINCT) course in Australia that involved leadership from six different countries. Chief Marty A. Sumner is twenty-nine year veteran with the High Point, North Carolina Police Department. Chief Sumner was appointed Chief of Police in March of 2012 after serving eight years as Assistant Chief. Chief Sumner’s previous assignments include Major Crime Deterrence & Prevention, Patrol, Vice Narcotics, detectives, training, administrative assistant to the chief, field training supervisor, field training commander and the Tactical Team retiring as the team commander in 2003. Chief Sumner is a graduate of John Wesley College, the Southern Police Institute Administrative Officers Course at the University of Louisville in 2000 and the Senior Executives in State and Local Government at Harvard in 2006. 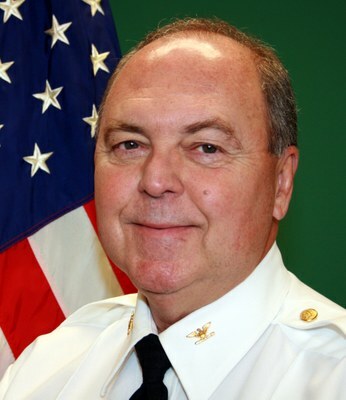 Chief Sumner helped design and implement the "High Point" approach to eliminating neighborhood drug markets, which won the 2007 Innovations in American Government award from the Ash Institute at Harvard and the 2008 National League of Cities Gold Award. Chief Sumner and wife Kathy have been married for 26 years; they have two sons Holden 19 and Jared 16. Colonel John Aubrey, of the 40th Administrative Officers Course, is the 2012 Alumnus of the Year. He is a graduate of the University of Louisville’s School of Justice Administration as well as the US Army Command and General Staff College. Additional training includes the 85th class of the National Sheriff’s Institute and the 96th class of the FBI National Academy. He places a strong emphasis on training and education with in his organization. He served in numerous positions over a 28 year period with the Louisville Police department, where he retired as Acting Chief. He has been Sheriff in Jefferson County, Kentucky since 1999. He is currently serving a fourth term and will be running for a fifth term in the next election. As Sheriff, Colonel Aubrey has proven to be an innovative leader. Under his command the Jefferson County Sheriff's Office became the first Sheriff's Office to be accredited in the state of Kentucky. He worked tirelessly to enrich the working conditions for his deputies by modernizing the office’s fleet, obtaining a Merit System and Collective Bargaining, assigning deputies to local and federal task forces operations and to local schools as School Resource Officers. He retired from the United States Army Reserve after 32 years of service, entering as Private and retiring as a Colonel. Colonel Aubrey has demonstrated a strong commitment to the profession of law enforcement. He is very active in the Kentucky Sheriffs' Association, is a member of the Kentucky Association of Chiefs of Police, the Kentucky Peace Officers Association, the Forces Committee, the Port of Louisville Propeller Club, a life member of the Fraternal Order of Police (Lodge #614), the National Police Honor Society, life member of IACP, and an active member of the SPIAA. He has held numerous positions in these associations and worked on a variety committees. He is currently serving in the National Sheriffs' Association as 3rd VP, and is on the Audit Committee, Court Security Committee and Nominating Committee. He is also currently serving as Treasurer for the Major County Sheriffs' Association. Sheriff Aubrey received the Kentucky Sheriff of the Year award in 2000. He is married to Bobbie, his wife of 49 years. He has one son, John, who is a retired officer of the Louisville Metro Police Department. Colonel Albert Frost began his career with the Hillsborough County Sheriff’s Office in 1978. He has worked in law enforcement operations in the capacity of Uniform Patrol as a Deputy and Corporal; Homicide/Robbery/Narcotics as a Detective; Criminal Intelligence as a Sergeant of Detectives; and the Crime Prevention Bureau as a Corporal, Sergeant, Lieutenant, and Captain and as the District III Patrol Major. Major Frost was then assigned as commander of the Special Investigations Division. He has also served on a FBI Corruption Task Force working cases involving drug dealers, local politicians, and public corruption; and a Secret Service Task Force with assignments including presidential protection, fraudulent ID, and counterfeit currency. His career choice to serve the public began with his duty and honor to serve his country in the United States Air Force, including one tour in Vietnam. Colonel Frost holds an Associate of Arts Degree in Police Science from Hillsborough Community College in Tampa, Florida and a Bachelor of Arts Degree in Criminal Justice from Saint Leo University. He has also attended classes at the University of South Florida. Colonel Frost is a graduate of the Southern Police Institute's 116th Administrative Officers Course at the University of Louisville in Louisville, Kentucky. Additionally he has completed various law enforcement training courses and has successfully participated in Leadership Hillsborough in Tampa, Florida. Colonel Frost is a longtime member of ROCIC (Regional Organized Crime Information Center), and has served on its board since 2004, including a term of president in 2006-2007. ROCIC is an organization composed of criminal justice agencies in the southeastern and southwestern United States working together to combat multi-jurisdictional criminal activities. Colonel Frost was born in Beattyville, Kentucky, and moved to Tampa in 1974. He is married and has one son.